Gotten yourself a couple of bitcoins and trying to find a way to keep them safe? 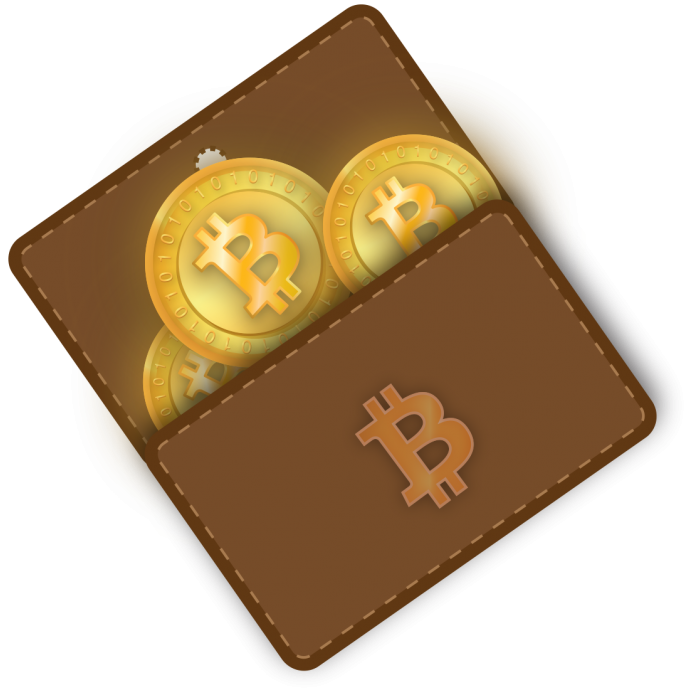 Just like a regular wallet, you have to take precaution with your bitcoin wallet since you don’t want to lose your money. It may seem a bit difficult to protect a virtual wallet, but if done properly you can definitely secure it. The following guide will explain a few practices you can do to keep your virtual coins safe and sound. In having a wallet, whether a virtual or physical one, you wouldn’t want to have all of your money in it since if you lose your wallet… you are broke. Therefore, it is advised that you store only a few coins on your phone or computer which will be your everyday spending money. The rest should be kept secure at another location. This is a web-based wallet that stores your private bitcoin key online. This means your coins are controlled by someone other than you. In addition, it can place great power into the hands of the organization that runs your online wallet because they have the private key. On the other side, having a web based wallet is a good for when you want to have access to your bitcoins anywhere at any time. Here are a couple of known online wallet sites: Blockchain, Coinbase, Strongcoin. Out of these three, Strongcoin is the only one that allows you to encrypt your private keys before sending them online, offering a bit more security. Hackers could use a software to log your keystrokes…hence even if you have a super strong password, it can still be hacked. If you forget your password….let’s just say you are not seeing your coins again. Write it down on paper and keep it in a vault or something with a powerful lock. Basically any place you keep your most expensive and precious things. Make a password that is difficult for anyone you know to figure out, but something you can still remember. In short…memorize it. Backing up your wallet ensures that if all else fails (computer crashes, phone gets stolen, you get fired from work… etc) you can restore your coins. Bitcoin wallets have hidden private keys. If you only have a backup for your visible Bitcoin addresses, you will not be able to restore all of your money. Thus, we advise you backup your entire wallet. Any computer or device connected to the internet is susceptible to hacking and theft. Therefore, you should encrypt (set a strong password) on backups that are on your computer or phone. Where Should I Store Backups? Have multiple secure places to store your backups. Why? Because if you only use one USB that has the backup…and you happen to lose that USB…say goodbye to your coins. So, for example, you can use: USBs, CDs, Hard drives, paper, etc and then put these in a vault or something else that is secure. Also, make sure to keep your backups up to date. Any new coins…update your backup! If you do not have your BTC software up to date, it might be susceptible to theft and hacking. Thus, it’d be in your best interest to keep it updated. This will ensure that your coins receive more security and stability. Remember to update all the other software on your computer or phone as well to keep your wallet secure. A safe environment provides security for your money. One of the best ways you can protect your wallet is if you store it in a place that is not connected to the internet. Why? Because anything connected to the internet is susceptible to hacking. This is called cold storage which basically store private bitcoin keys offline. Many software wallets offer cold storage, check to see if yours does. How would this even work out? A way you can approach this is by transferring most of your bitcoin wealth into cold storage and leaving only a small amount for your everyday spending wallet. This way you have most of your money in a place that is secured, and some of your coins at hand to trade with. Hey, you get the best of both worlds. If your computer or phone gets stolen or hacked, only a small amount of coins in your everyday wallet will be taken from you. The rest are secured in your super secret vault (cold storage) that is away from the prying hackers of the web. This results in minimal damage for you and even if your everyday wallet gets robbed…you can go on your merry way. You know, by getting more bitcoins and the like. If you are the only one who has knowledge and access to your bitcoin wallet, you might want to keep this in consideration: if you happen to die, your bitcoins will be lost and no one else will be able to use them. This is similar to the money you earn: if you don’t say in your will or testament that you want your wealth given to a specific person or charity, your wealth will be divided amongst your intestate heirs. However, unlike regular currency, to have access to your coins, you need the private key. Keep this in mind for the future. Like with securing your physical wealth, you should review your options carefully and decide the best way to keep your bitcoins safe. This could mean going cold storage, paper storage, encrypting your wallet, backing up, or all of the above. Look through the options we’ve given you and chose the one that offers the most security. Stay tuned for our future articles.